The protection of our environment has become a major concern over the past years. Not only are we using our planet’s resources at an alarming rate, but we are also creating a lot of waste which is not properly disposed of and ends up harming the planet we live in. Due to some alarming statistics, several product manufacturers from all across the world have started designing and producing eco-friendly items. By definition, an eco-friendly product is one that does not harm the environment, either in its production phase or during usage or after its disposal. The manufacturers of household items are doing their fair share in reducing pollution. Such products can be either made from scratch or using recycled materials. By starting to use eco-friendly products, you can contribute to preserving our planet for the generations to come. There are people who believe the purchasing and using environmentally friendly products requires a lot of effort. This could not be more false. The truth of the matter is, a lot of people don’t know that many of the household products they use are actually harming the planet and are most definitely not sustainable products. There are several items around your home that you can replace today and become an eco-friendly citizen. Electronics produce a great deal of harm to our environment on several levels. First of all the manufacturing process of electronics consumes a lot of resources. Next, by using them, we are actually wasting more energy than we know. Last but not least, some people do not dispose of their older electronics in a proper fashion, thus leading to more pollution. The first thing you can do is purchase electronics that are energy-saving. From dishwashers to refrigerators and television sets, you should always look for the designated labels on these devices to make sure that you pick the ones with the lowest energy consumption level possible. We can even save energy by switching from regular light bulbs to LED bulbs. LED lights help us save energy by reducing the price of our electricity bill, while we are contributing to saving the planet. It’s also very important to get rid of our old electronics in the proper way. Depending on the area where you live, there are several hotlines that you can call and have your old electronics picked up directly from your doorstep. One of the easiest things you can do if you want to switch to eco-friendly home products is starting purchasing reusable batteries. These batteries can be recharged and used over and over again, thus saving you money and eliminating waste caused by the variety of chemicals found inside the batteries. There are a lot of supermarkets that will help you dispose of your old batteries thanks to their battery pick-up points, so make sure you don’t just throw them away in the trash can. One of our most favorite products are the power-off outlets. Instead of unplugging the electronics, you simply flip the power switch on the outlet and you’re ready to start saving energy. Often times, we leave our phone or laptop chargers plugged in, our computers in standby mode and this consumes energy without us being aware of it. With an outlet that draws 0 energy when turned off, you won’t need to worry about whatever you’ve left plugged in. Also, does wonder for people who travel a lot and want peace of mind knowing they’re not risking anything, electricity-wise. How about kicking things up a notch and buying a solar-powered lawn mower? Yes, Husqvarna sells something like that and not only is it electricity-saving, it’s also human-energy saving. And while you’re looking at saving energy, how about purchasing a programmable thermostat? What this little gizmo does is to let you know when you are wasting energy and make sure you won’t do that anymore. It can learn your temperature preferences and switch off when they are no longer needed. You know that little gnome living inside your fridge? The one who turns the fridge light off each time you close the door? Yeah, a programmable thermostat does pretty much the same thing: sends out an invisible gnome that turns off your air conditioning or your heater when you don’t need it. Every day, we use a considerable number of plastic products that end up polluting our oceans. For example, plastic straws are one of the main menaces because they are so small and capable of evading recycling machines. They end up in our oceans, causing major pollution and harming several underwater species. Instead, try metal straws that are reusable and more nature-friendly. Or, better yet, no straws at all. The first you can obviously do is give up all plastic straws. Next, switch from plastic cups and plates to normal ones. This way, you can avoid creating even more plastic waste. Buying reusable coffee cups is also a great way to go green. There are manufacturers that produce cups made from 100% food safe silicone. They are durable, very pleasant to the touch and can be reused as many times as you like. You can use them at home or take them with you to your favorite coffee shop. In America alone, more than 35 billion plastic bottles are thrown away every year, ending up in landfills and oceans. Plastic products are generally made with the BPA, which is a harmful chemical that can eventually leak into your water. You can switch from regular plastic bottles to ones made of stainless steel. There are several BPA free options out there, with variable sizes to cater to your drinking need. Choosing a compact stainless-steel bottle gives you the freedom of carrying your drink around you everywhere you go, but they are also great for home use. A great option would be switching to compostable cutlery and plates. You can purchase cutlery made out of birchwood, which is a great biodegradable option to that horrible plastic we keep using. Most compostable cutlery and plates which are currently available on the market are FDA approved and it’s safe for food to get in contact with them. Another thing you can do is switch from plastic grocery bags to reusable ones. It is estimated that each year, people use between 500 billion to 1 trillion plastic bags, causing a tremendous amount of unnecessary waste. You can purchase a couple of canvas grocery bags. They are durable and will save you money in the long run, not to mention that they are super easy to clean. Just throw them in your washing machine and you’re good to go. Did you know there is such a thing as a ballpoint pen made of recycled plastic bottles? If you purchase these, you are actually reusing one of the largest contributors to plastic pollution in the world. You are supporting people that take something extremely bad and turning it into something good and useful. We generally waste a lot of paper without even knowing it. For example, how often do you purchase disposable paper towel rolls for your kitchen? The solution is simple, you can switch to dish towels made of cotton, which are easily washable and ready for reuse. There is always the option of purchasing bamboo kitchen towels, which are also reusable. In fact, there are even companies that will plant a tree for every bamboo roll they sell. How awesome is that? We also waste a lot of paper by simply throwing away sheets that could still be used. How often have your thrown away a sheet of paper that still had a blank side left? You could have used that space to write down your shopping lists, phone number or draw on them when you’re playing Activity with your friends. Use every bit of sheet space that you have, it would be a shame to let that paper go to waste. Oh, and if you use paper to frequently take note that you eventually won’t need anymore, why not invest in a small whiteboard? you can hang that on your kitchen wall or wherever it’s more convenient for you. You can write stuff down with a marker and then erase it and write on it again. Easy and cheap. Since we’re looking for ways to save paper and switch to eco-friendly products, how about turning our attention to reusable coffee filters? There are a lot of people who switched to instant coffee systems, which means that there’s also a rise in the use of coffee filters. Instead of throwing the old coffee filter into the trash can each morning, you can opt for reusable filter pods. And while we’re at it, let’s talk about the waste we’re creating by throwing away tea bags as well. Instead, every tea lover can switch to tea infusers and make their tea with fresh ingredients. Even if everything suggests that we should be using less technology and electronics in order to save energy, there are some gadgets that actually do more good than harm. And the perfect example of such a device is the e-reader. It’s true that most avid readers will tell you there is nothing compared to the feel of a hardcover or paperback book in your hand and turning each page is like taking one step forward into the story. But, from an environmental point of view, each book is like putting the saw blade one more time into a tree. E-readers come with numerous advantages from both an ecological and practical point of view. The more books you own, the more space you are taking up. With e-readers, you can create a virtual library of all your favorite titles. It’s also easier to carry while you’re traveling, and you have the benefit of being able to take a huge number of books with you. We now have the possibility to purchase longer-lasting toothbrushes. There are several toothbrush models that have a detachable head, which is easily replaced by buying a new one. You can opt for a brush made out of rubber and dispose of the head once it’s overused. You get to keep the handle, meaning less waste with throwing away the entire toothbrush. 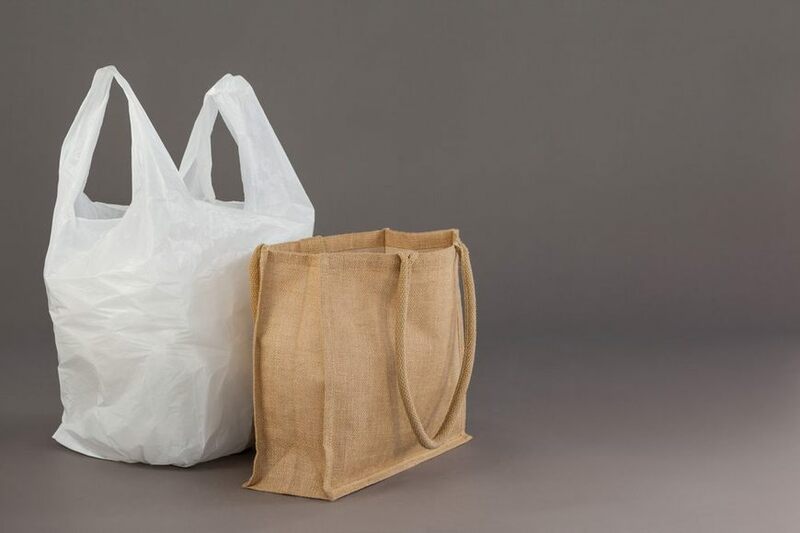 How about switching from plastic trash bags to ones that are biodegradable? Oh, and another thing that encourages us to create a lot of plastic waste are sandwich bags. If you like sending your kids off to school with a snack, then you’re actively contributing to creating waste because you’re choosing single-use plastic wraps. By switching to reusable sandwich wraps, you are encouraging the use of a product made of recycled PET bottles. They are easy to clean and ready to serve you on many sandwich packing missions to come. You can also switch from your regular toilet paper to recycled toilet paper. You won’t feel the difference in terms of comfort, but you’ll be doing your job in helping preserve the environment. There is a lot of concern regarding water waste. By simply purchasing an economic shower head, you can preserve about 75% of the water that you normally waste while taking a shower. These are actually low flow shower heads that help you save money and water at the same time. Natural beauty products are now a thing and it would be a shame for you not to try them. Opting for cosmetics filled with all sorts of questionable ingredients supports animal testing, harmful production methods, not to mention that you’re applying chemicals to your skin. Natural beauty products are sulfate and paraben-free, healthier and a much better option for the environment. Natural laundry detergent should also be on your list. Made from plant-based ingredients, this type of detergent generally features a hypoallergenic formula and it’s made from post-consumer recycled materials. In fact, the more natural cleaning supplies you use, the greater the health and environmental benefits you’ll have. For example, instead of cleaning your stove with all sorts of chemicals, how about creating a natural mix of lemon/baking soda and vinegar? It actively removes grease without the risk of chemicals making their way into your next meal. Did you know that you can turn to eco-friendly clothing as well? You can start shopping for clothes are made of recycled material. Their manufacturing process is also sustainable, as they eliminated the used of dyes and energy used in the production. Wool footwear is also a must if you’re looking to go eco-friendly. All bird is an example of a brand that manufactures wool shoes. They are more comfortable compared to shoes made from synthetics and they use the naturally existing material to avoid creating waste. If you’re a fan of watches, you should consider the many eco-friendly options available out there. Several manufacturers are now focusing their attention on crafting watches from stainless steel and sustainable wood suppliers. How awesome would it be to own a watch remade from whiskey barrel wood? That would be a story to tell. There is such a thing as rings made from recycled precious materials. You can also purchase wooden sunglasses in your attempt to reduce plastic usage as much as you can. They come with stylish wooden frames that are bound to attract a look or two. And while we’re at this chapter, you can also look for sunglasses made from recycled ocean plastic. Collected from the ocean, plastic is turned into raw materials to make elegant pairs of eyewear. There’s something about DIY projects that need to be encouraged on a global level. Maybe we spend too much time watching TV rather than actively doing something. Maybe we spend too much money on costly products that we can do ourselves. Or maybe we’re throwing away a lot of items that we could just as easily recycle and reuse to make something we can actually take pride in. Whatever the case, you won’t believe how many cool things you can actually do with the items you’re throwing away. There is an old saying that goes “One man’s trash is another man’s treasure”. Could it be true? There are so many ways in which we can turn from a life of waste and pollution to doing the best we possibly can to preserve the planet for as long as possible. From recycling our trash, making sure we never throw garbage on the streets or leave it in parks, there is always something to be done if you fully understand that you, as well, are responsible for this planet. Switching to eco-friendly products is now easier than it ever was. There are a lot of both reputable manufacturers, as well as rising startups that have invested time in the research and development of sustainable products. You can do something as simple as replacing all plastic cups, straws, and plates you use at home for eco-friendly ones, or go really big, like switching to solar-powered gadgets and purchasing energy-saving electronics. You can try to eliminate paper as much as you can from your household. Even asking your service providers to send you electronic bills instead of regular ones is a step towards reducing paper waste. You can switch from regular magazines to reading online versions, from regular books to e-readers, from regular toilet paper to recycled toilet paper. You can even opt for aluminum foil, which is made out of 100% recycled aluminum. You can even purchase toys that are made from several recycled items. They are 100% safe for your children, as they don’t contain any chemicals or harmful dyes. Pretty much any of the items you use from day to day has an eco-friendly substitute: you can purchase wallets made from recycled billboard banners, eco-friendly phone cases that are made from sustainable bioplastic, baskets made out of repurposed fishing nets, solar powered electronics, and even bamboo speakers for your phone. And yes, you can even purchase an eco-friendly cell phone, made by the guys at Fairphone. They provide good working conditions and support the environment via their take-back program, making it easier for you to dismantle and recycle your old phone. It’s incredible how many DIY projects you can complete and that are just one Google search away. You can use your old plastic bottles, discarded pieces of paper, old pieces of wood, and turn them into amazing jewelry boxes, colorful lanterns or even toys for your children. You’d be amazed at how easy it is to make the cutest stuffed animals out of old socks you wanted to throw away.